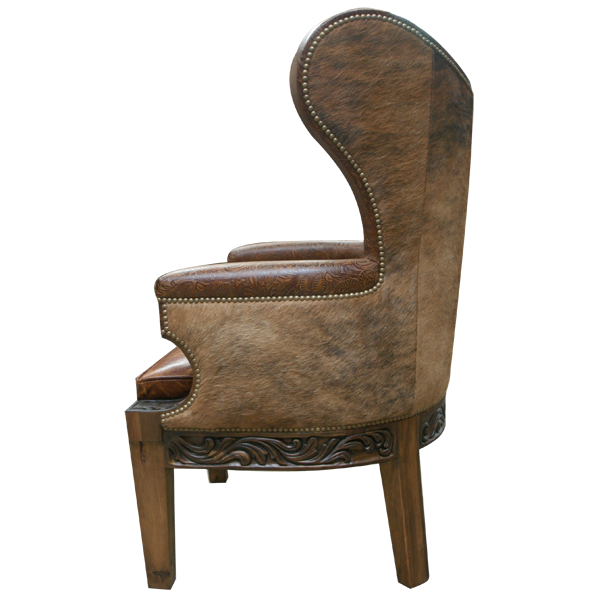 With its beautiful and opulent details, this luxurious, Western style, handcrafted chair will be the center of attention in your home décor. The tall seat back of this spectacular chair has a classic wing back design. All sides of the lower base of the seat are adorned with exquisite, hand carved, floral designs. The chair rest on straight, solid wood front legs and slightly splayed back legs. The center section of the inside seat back has a magnificent, button tuft design. 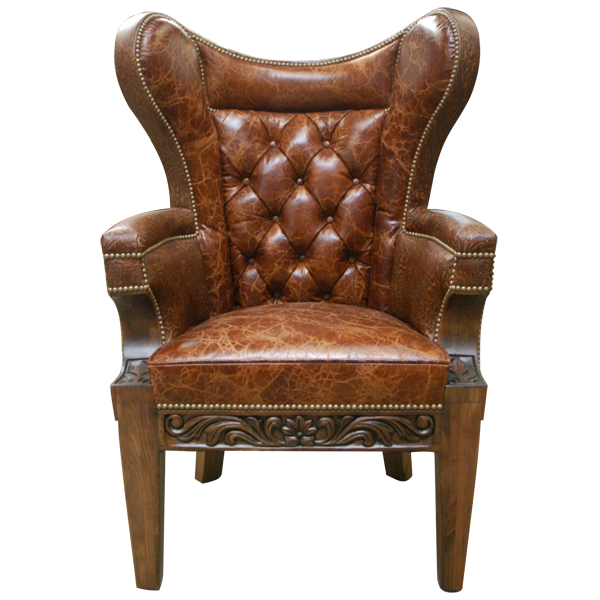 The padded seat, the armrest, and the inside seat back of this custom chair are upholstered with rich, brown, embossed full grain leather. 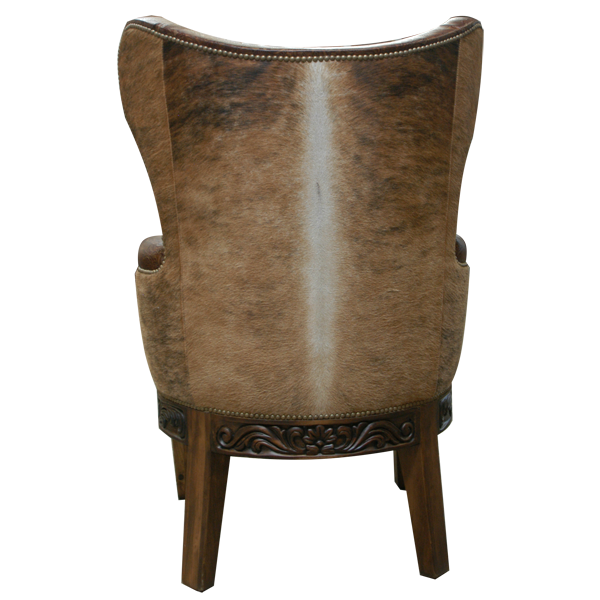 The reverse seat back and the external sides of the chair are upholstered with real cowhide. 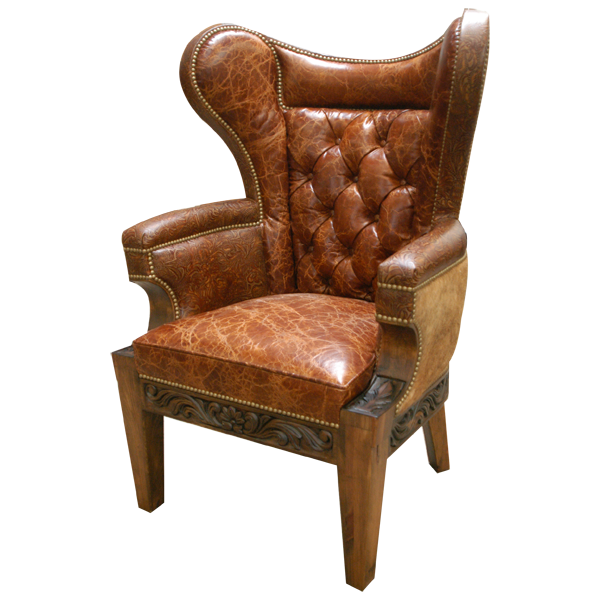 The upholstery is precision hand tacked to the wood frame with ornate, decorative nails. Both beautiful and durable, this chair is made with the best, sustainable wood available. It is 100% customizable.